A GIRLS GOTTA MAKE A LITTLE TIME FOR HERSELF ONCE IN AWHILE YOU KNOW. What could be better than cuddling up with the latest edition of the New Century Collector. 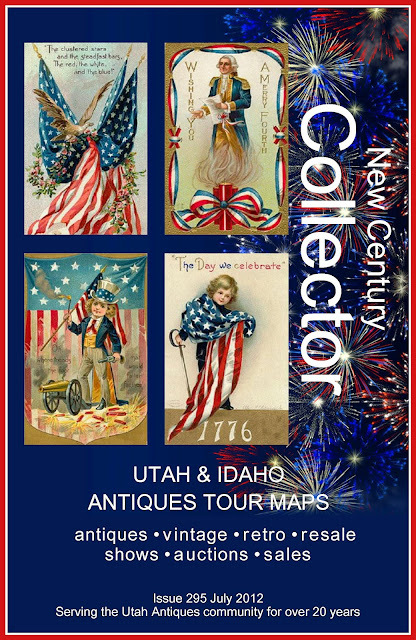 Why not grab a pillow and your laptop, snuggle down, and find out what's happening on the Utah collecting scene. You're just one click away from an early look at our July issue. So go ahead, take a break, cuddle in, and spend a little quality time with the Collector. Come on, you deserve it. But be careful, don't spill the cocoa on it, you'll want keep it all month, and besides, all that chocolate will gunk up your processor. Those who know me well, know that for me, almost everything in life is defined in humorous terms. And, our blog is usually reserved for things we think of as fun or interesting. However, today I'm posting something on the more serious side. If you own, work, consign, sell or buy from an antiques or second hand shop, you may find the following article of interest. The boogie man is not far from your door. The following article will also appear in the NEW CENTURY COLLECTOR July issue. It seems that California is about to toss its antiques industry off a cliff. 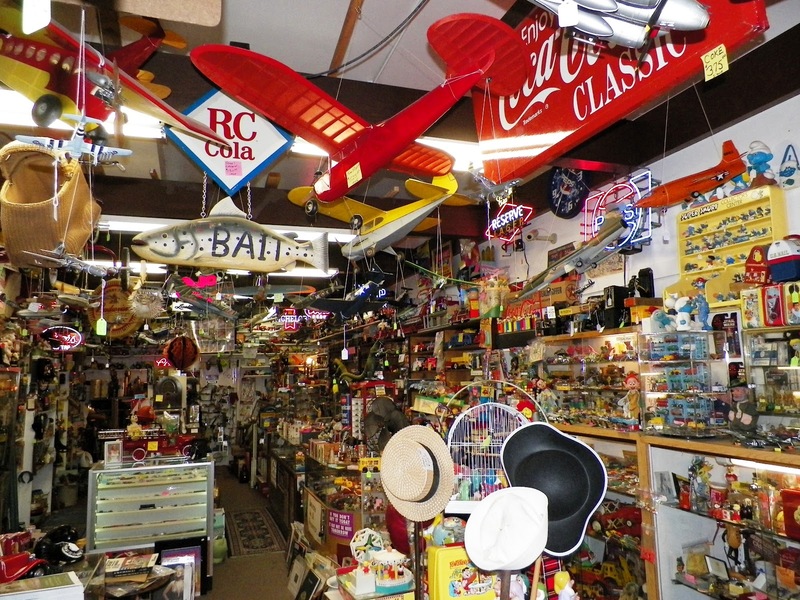 Having failed in the past, not unlike the Phoenix, the idea of applying pawnshop merchandise reporting laws to antiques shops seems to have resurrected itself. Pushed by the California Pawnbrokers Association, and what would have to be considered anti business political interests, bill AB 391, was passed by the California Assembly in April, and sent for approval to what appears to be a receptive Senate. 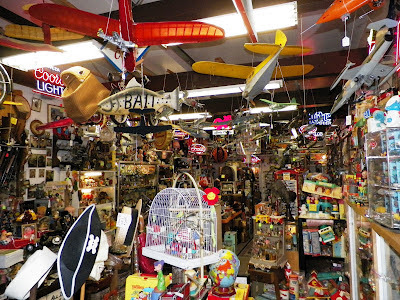 Most observers believe the democratic Governor will give the final push, sending California antiques shops careening into the abyss. 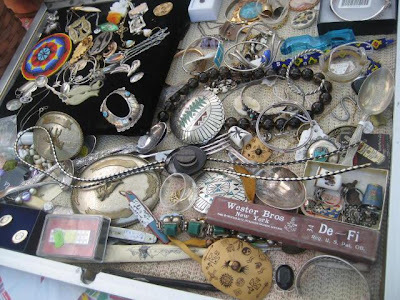 The crux of the law requires antiques shops to report merchandise traded, purchased or consigned to a central police database. Along with the electronic database submission, dealers must also fingerprint the seller, and archive a copy of the prints and the seller's photo identification for police inspection. And it gets worse. All newly acquired merchandise must be held in a segregated holding area for 30 days before it can be sold. In an economy where many antiques businesses are hanging by their fingernails, the prospect of hundreds of dollars in new licensing fees, computer equipment, increased labor, and additional space to meet the holding requirements, is discouraging at best. 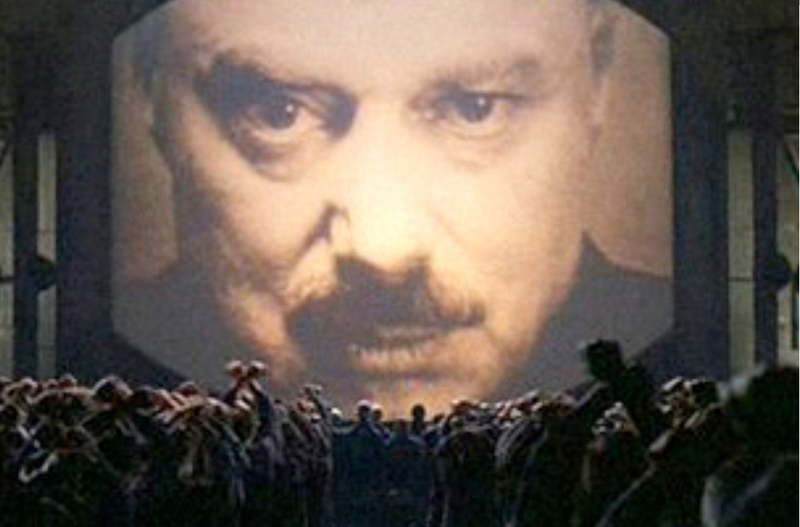 If it all seems a little Orwellian, that's because it is. No antiques shop can thrive, or perhaps even survive given the repressive nature of this law. And, why should conservative Utahan's care about what goes on in "weird California", a state that thrives on the cutting edge of insanity? It's simple; the Utah Legislature is also edging our antiques industry dangerously close to the cliff. In 2007 Utah Sate pawnbroker regulations were amended to include secondhand merchandise dealers. The amendment defines a secondhand dealer as: (a) “Secondhand merchandise dealer” means an owner or operator of a business that: (i) deals in the purchase, exchange, or sale of used or secondhand merchandise or personal property; and (ii) does not function as a pawnbroker. Since 2008, during each Utah Legislative season, there has been either threat or attempt to amend the Utah Pawnshop and Secondhand Merchant Transaction Law to include antiques shops. Fortunately, each year, the UADA (Utah Antiques Dealers Association) has successfully made a case for the retention of our 2009 exemption from pawnbroker regulations. However, the Utah Pawnshop lobby continues its efforts to include the antiques industry. If we're not careful, we are all going to end up fingerprinting little old ladies selling their teacups. As an officer of the UADA, I spend a lot of time following the issue. I go to Utah House & Senate hearings, meetings with legislators, and the Utah Pawn & Secondhand Merchandise advisor board meetings; everywhere I think we might get a tidbit of information. What I hear is often discouraging, and it's not going to help to ignore reality. Police, the Division of Consumer Protection, Pawnshop owners, their lobbyists, and friends in the legislature, are all pressing for universal compliance. Regardless of our current exclusion, antiques shops, as an isolated faction of the secondhand industry will sooner or later be nothing more than another meal for the beast. There are white hats, and there are black hats. Pawnbroker regulations are, you guessed it, for pawnbrokers. No other category of secondhand business has exhibited the social or legal problems that originally forced the regulation of pawnshops. And, it is unreasonable to think that since they share the commonality of dealing in used goods, they are somehow wedded. They are not. It is appropriate and right, that Antiques, collectibles, retro, vintage and resale shops resist inclusion under this burdensome law. But the larger truth is that although many other secondhand businesses are already caught in the web, their inclusion is no more fitting. It is largely a waste of private and public resources, all to appease traditional bad actors in the used goods community. So, what's to be done? Only by all secondhand businesses acting in a communal effort, will the Legislature understand and address our problem. There is as we know, strength in numbers. Whether your business is already caught in the snare, and is currently complying with this law, or is one of the thousands of second hand businesses that are surely in their sights, stand together. This is Utah, not California, and a majority of our Legislators stand squarely in support of small business. Most are unaware of the problem. We need to educate them. Find out who your House member and State Senator are, and call, send a letter or email, and let them know your business is not a pawnshop and should not be included in their regulatory mire. NOW THAT'S JUST "PLANE" COOL! I don't care how old you are, we're all really just eternal kids. We never get tired of toys. Sometimes it's all about buying back our childhood, and sometimes it's just about the memories. I stopped at Jitterbug Toy's and Antiques in Salt Lake yesterday, and was mesmerized by Owner Dee Jackman's latest display. Hanging from the Ceiling throughout the shop were vintage gas powered airplanes. As you can see, Dee has more toys than anyone else on earth. And best of all, they're all for sale. If you want to be astounded by the sheer coolness of this shop, stop by and say hello to Dee. Jitterbug is located at 243 E 300 So, in Salt Lake City. SALE IN THE CITY. Eye candy for collectors. Weather, dazzling. Backdrop..... perfect. 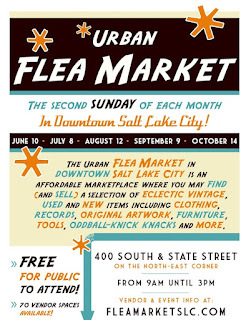 Engulfed by the cityscape, the first of the seasons Salt Lake Urban Flea Markets did anything but disappoint. By the time we made it to the Urban Market on Sunday, the place was already an ant bed. The first thing I did was to capture the markets setting. Sunshine, blue skies and highrises. The contrast between Salt Lake City's prime real estate and the quaint tented bazaar was striking. Populated by eager, affable vendors, the market offered a perfect Sunday morning diversion. 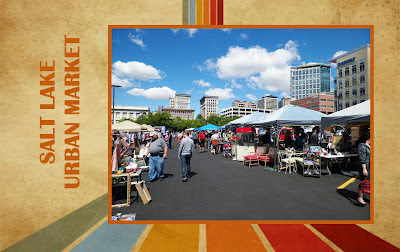 This was my first visit to the Urban Flea Market, and I was surprised at the number of familiar faces we came across. Booth after booth seemed to be full of vintage and collectible dealers from the antique shops, shows and malls around the city. There was plenty to look at and buy. Best of all, it seemed like everything we saw was a was a bargain. Lyn walked off with a set of 50's mixing bowls, an art deco ring box, some Acro Agate children's dishes and an old wicker picnic basket, while I bought an oak cased Victorian barometer for an embarrassingly small price. I think this is what they mean by "too much fun". If you're looking to put a little sunshine into your Sunday mornings, the Urban Flea Market will surely brighten your day. 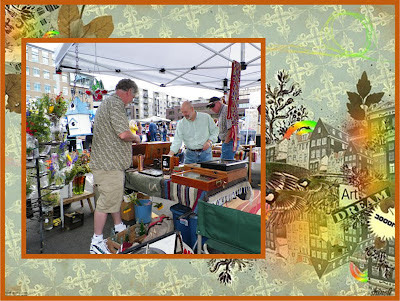 The market runs every second Sunday of the month, from now through October 13th. Hmmm.... THEM FLEA'S IS GIVIN' ME THE ITCH. got to get downtown and get it scratched. 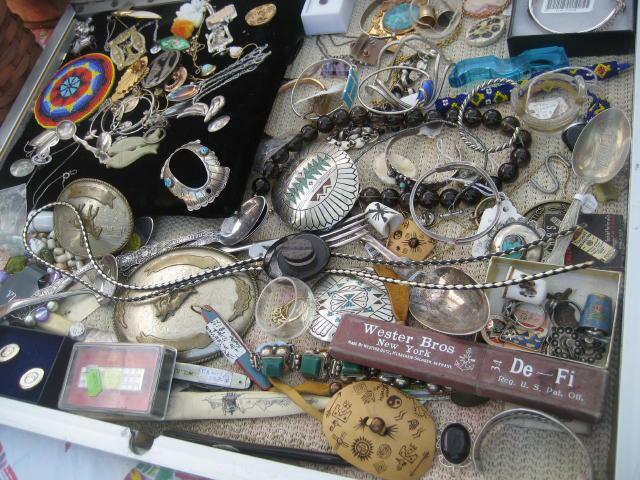 You wonder how it is that Salt Lake City hasn't had a credible down town flea market. My only guess is that it must have been a plot to keep those hip 20 & 30 somethings in morning services. 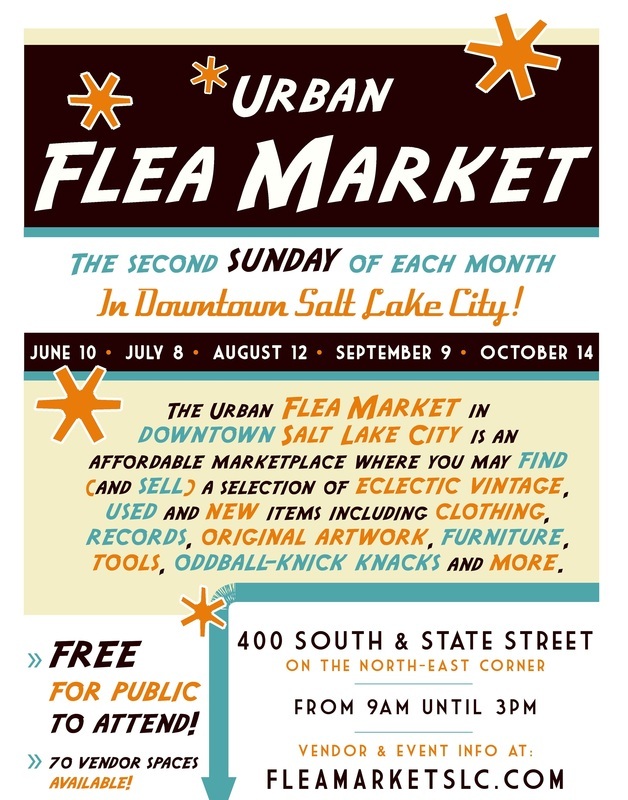 Well, it’s time to open the doors and empty the pews; it’s sunny outside, and there are bargains to be had at Salt Lake's new Urban Flea Market. 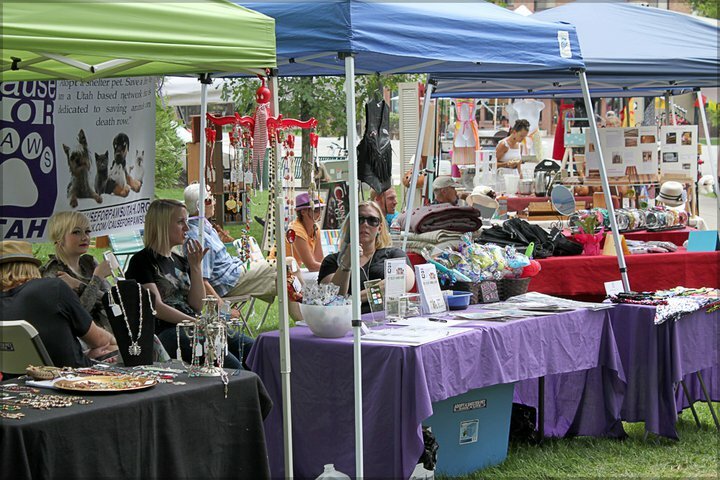 Shoppers can browse at over 70 vendor booths for arts, crafts and handmade items, along with new, and second hand goodies. And, while it’s always a thrill just to save a buck or two, this trendy market is sure to also become the darling of the vintage/retro, reuse & recycle crowd. To see and be seen, make your way to the Northeast corner of 400 South and State between 9:00 and 3:00, on June 10th. The Urban Market will run every second Sunday of the month through October 13th. Seems to me that leaves plenty of Sundays for other stuff. When shopping for antiques, it’s easy to confuse the search for truth & beauty, with acquisition of the beautiful, rare or exotic. In fact, the real search is often more about objects that improve our quality of life than the beauty of our surroundings. As years slip by, it’s impossible not to notice that each time we purchase a new item, it’s of lower quality in materials, craftsmanship and durability than whatever we’re replacing. 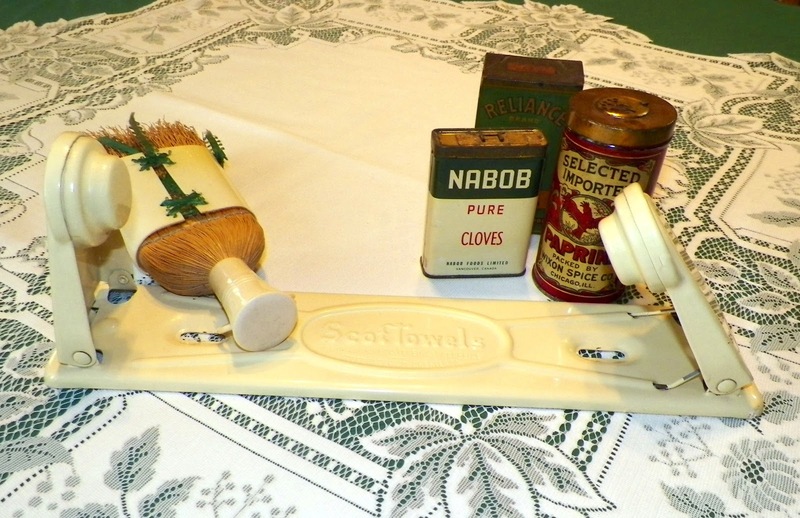 When we look back, it’s hard not to be enamored with the quality, function and charm of the objects our parents or grandparents used. 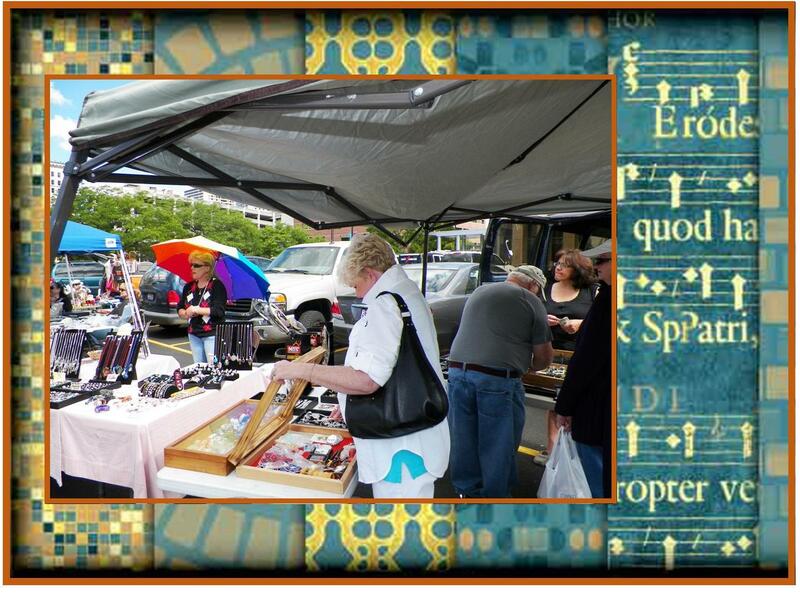 A couple of weeks ago, we decided to spend our Sunday morning at the Capital City Antiques Mall outdoor market. We strolled from booth to booth, looking at this, touching that, and occasionally buying a trinket or two, when Lyn turned to me and flashed a big smile. “Look what I found”! I was stunned. We had climbed the mountain, and were returning with the prize. She was holding a stamped steel, spring loaded, Scot Towels, under cabinet, paper toweling dispenser. Embossed proudly with the makers name, and a 1929 patent date, this simplistic, mint condition, engineering marvel, would proudly replace the latest, of a long line of crappy plastic towel dispensers. I felt as if I had climbed into the way-back machine with Mr. Peabody. I felt victorious; Defiant. Let’s just see those damn towels escape from this one. Lyn quickly restored perspective. “I like the color”. The masking tape price tag stuck on the bottom read $3.50, but the seller offered it to us for three bucks before we even had a chance to ask. I was nonchalant as I offered the money. Takin’ candy from a baby. Okay, I’m not kidding myself, not everything can improve your life as much as an old paper towel holder, but many old things are extraordinary. They exude charm, feel comfortable, and are mostly well made. The truth is, that when we find old objects that we can incorporate into our lives, we profit by the effort, often saving money, and always saving increasingly scarce resources. Old things truly are remarkable. Not only can they connect us with the past, they can also keep us out of the malls, and best of all, give us a reason to visit our favorite antiques & collectibles shops. What more could we ask for,. So, don’t overlook the charm and utility of using vintage items in your everyday life. Next time you encounter an old mixing bowl just like the one grandma had, don’t hesitate to pick it up. Stir things up a bit.